Does a long-range submarine capability confer sufficient benefit to be worth what appears likely to be an enormous outlay? It’s not a simple question to answer. Unlike, for example, a financial analysis, the costs and benefits are not generally expressible as dollar values that can be entered into a spreadsheet. That’s not to say that the dollar values don’t matter—we’re talking tens of billions of dollars here, so it wouldn’t be inappropriate to express the costs in terms of, say, numbers of major metropolitan hospitals to make the opportunity costs manifest. And Henry Ergas explained on this blog how the tools of Net Present Value analysis can be used in these sorts of decisions. But at some stage there’s going to be an element of subjectivity in the judgements that have to be made. 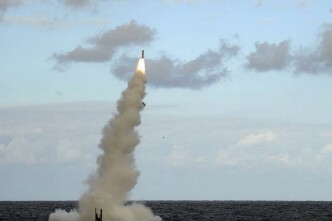 We don’t know the likelihood of future conflicts in which submarines would be useful. 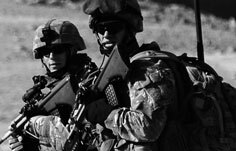 Nor do we know the likely impact on Australia of those conflicts—even a cursory look at history shows just contingent the course and outcome of conflicts can be. But we have to try to frame some questions that allow us to get at least a qualitative feel for those issues. 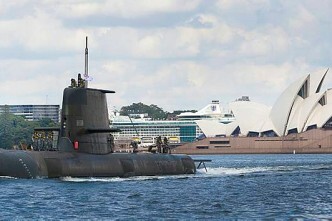 And that necessarily requires us to talk about the ‘who, what, where and why’ of future wars that Australia’s submarines might be required to fight, or can be used to prevent through deterrence. For the sort of national investment we’re looking at here, talking in generalities isn’t going to get to the core motivators for such a big project. Let’s start with the ‘where’. For submarine operations this is a crucial factor. More than any other requirement, the range at which our submarines are required to operate for extended periods is the driver of their size—and thus of project risk and cost. 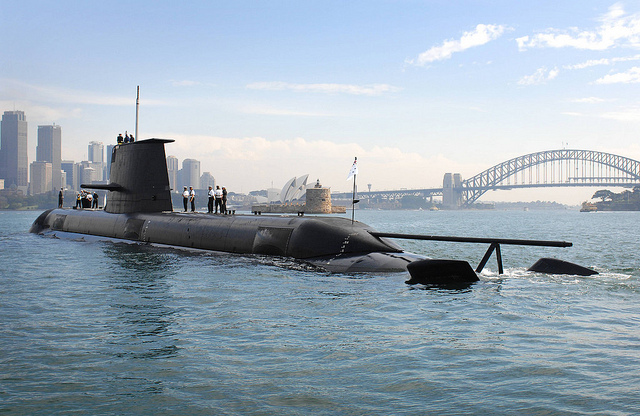 If we convince ourselves that Australian submarines need to be able to patrol north Asian waters for extended periods, then we’ll be in the business of building what I’ve described in the past as a ‘conventionally-powered nuclear submarine’. If we can relax that requirement, then less technically ambitious alternatives begin to be attractive. And that inevitably brings us to the ‘who’. And we can’t mince words here. What we’re talking about in north Asia is operations against China. No other country in that part of the world comes close to fitting the bill—the other nations of the region are either friends, security partners or largely a matter of strategic indifference to us. If it’s uncomfortable to be talking about war with China, it should be. It’s a horrendous proposition and one we’d much prefer to avoid for many reasons. But it’s something the United States is thinking about, at least at the level of operational concepts. My colleague Ben Schreer will have a lot more to say about this soon in a paper appropriately called ‘Thinking about the unthinkable war’, in which he argues convincingly that America’s allies and partners will be expected to play a role. For the purpose of this post, we needn’t worry too much about the details of exactly how such a dire situation might come to be, other that to note that plans are being conceived and our forces—and submarines—might have a role. 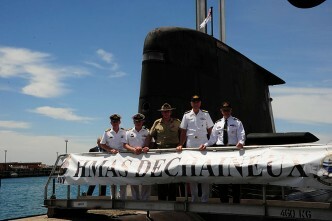 So in contemplating the desirability of Australian submarines in north Asian waters, the question really becomes whether the contribution we could make to a wider allied effort is worth the direct and opportunity costs we’d incur. I worked through the logic of this situation in a speech I gave at the SIA conference last year. The conclusion I came to is that the most compelling reason for us to operate in that theatre isn’t the military impact we could have, which with only a boat or two at sea would necessarily be modest in the big picture, but because the US would welcome our efforts. In other words, the biggest payoff is the alliance benefit. Of course, they’re valued because they are genuinely useful in some circumstances—a fact reiterated to me last week by a senior USN officer—so the argument isn’t just about ‘brownie points’. In some circumstances a conventional submarine is more suited to the task than a nuclear one. Still, it’s worth thinking about other models in which we could accrue similar benefits in terms of the alliance, and make a real contribution to allied operations if we choose to, but do so at less cost and risk, and probably with higher reliability. And there are such possibilities. 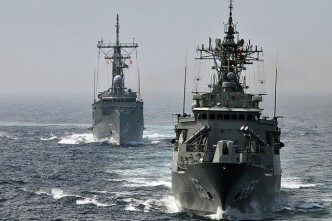 Part of the US ‘AirSea Battle concept’ involves a ‘distant blockade’ of Chinese shipping. Again, I’ll defer to Ben for a more detailed description of what’s involved, but controlling the shipping lanes that thread the Indonesian archipelago would be part of the picture. 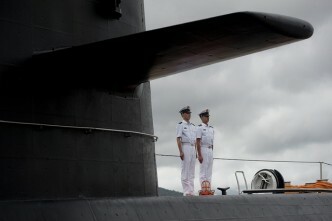 Being more than a thousand nautical miles closer to Australia than the waters of north Asia, taking on the role of patrolling those waters would relax some of the more challenging submarine design aspects. Narrow choke points are well suited to conventional submarines, and we could potentially free up American nuclear boats for operations in more open areas further north. A discussion with the US along those lines might start the process of working out exactly how our forces can work together most efficiently. All of that is just one aspect of a complex discussion, and I make no claim for its completeness. But I think it illustrates how getting down to the details of how our future submarines would be employed—the ‘who, what, where’ of the business—rather than talking in more abstract terms allows us to see the trade-offs between design, risk, cost and utility. Andrew Davies is a senior analyst for defence capability and executive editor of The Strategist. Image courtesy of Flickr user Kookaburra2011. Reader response: submarines—what are they good for?